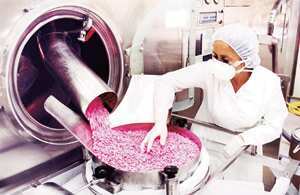 Mumbai: Once highly prized by job seekers, the pharmaceuticals industry is grappling with hard times as its staff turnover rate hovers among the highest levels for industries in India—a trend that is not sparing even heavyweight multinational companies such as Pfizer Inc. and Merck KGaA. The pharma sector—which employs a total of 500,000 people in India across domestic and global firms—is losing at least 30% of its workforce annually, primarily in sales and marketing, for reasons ranging from low salaries to lack of growth opportunities and a new perception of it being an unstable industry. Merck Ltd, the Indian arm of the German drug maker and one of the oldest multinational pharma companies operating in India, suffered 20% attrition last year. Aventis Pharma Ltd, the Indian unit of French drug maker Sanofi-Aventis, loses around 22% of its 2,177-strong workforce annually. He says the employee turnover for Pfizer, which employs around 2,300 people in India, is below the industry average. Industry experts and human resource consultants that Mint spoke with say medical representatives and managerial executives are increasingly moving to emerging sectors such as insurance, health and lifestyle consumer goods, corporate hospitals and telecommunications. Several multinational pharma companies have been forced to slow anti-attrition measures because of the current global financial crisis, although companies such as Pfizer and Merck say the financial turmoil will not affect their talent management strategies. “Pharma sector loses marketing people as the industry’s pay structure for such a tough job is still not up to the mark," says Shiv Agrawal, chief executive officer at management and recruitment consultancy firm ABC Consultants (P) Ltd. The attrition rate in junior level marketing jobs is as high as 45-50%, he says. The increasingly competitive drug market and the patent regime have also spread the impression that pharma companies are not very stable, he says. “The vast opportunities available in the market and the rising trend of salaries offered by different sections of the market have resulted in the company losing good employees," Merck said in its last annual report released in September. Merck employs around 2,100 people in India. P.B. Padmajakshan, a former marketing manager with the country’s sixth largest drug maker Wockhardt Ltd, is currently working with a Hyderabad-based lifestyle products firm. “First line marketing managers, who earn around Rs2.5 lakh a year in a large pharmaceutical company, earn more than double in an insurance company, which pays around Rs6.5-7 lakh a year at present," he says. Consequently, pharma companies are being forced to recruit people who don’t have enough experience at low salaries, Padmajakshan says. Shrinking profitability because of rising competition and a narrowing pipeline of new drugs mean that pharma companies are in no position to offer competitive salaries and other benefits. “Pharma industry lost its glamour as an attractive job destination after the emergence of information technology and a few other new generation services sector(s)," says R.D. Joshi, executive director, Interlink Marketing Consultancy Pvt. Ltd, a Mumbai-based pharma marketing consultancy firm. The Indian units of other large multinational drug makers such as GlaxoSmithKline and Novartis did not respond to queries. Wyeth Ltd, the local arm of the US drug maker Wyeth Inc., could not respond as officials dealing with the issue were travelling. Merck Ltd says the company understands the importance of investing in its people. “Consequently, we have undertaken a range of strategic measures to address this reality that have enabled us to bring down our attrition levels to around 15-17%, significantly below the industry level of 20-30%," a Merck India spokesperson says in an email response to a Mint query. Pfizer’s Mohan says the company was trying to work out “new methodologies and initiatives" to tackle the issue. “Effective communication, recognition of talent and performance-based compensation programmes help us engage and motivate employees," Mohan added.